Searching for Award Winning Dublin Wedding Bands ? The Jukebox Kings are a Lively Wedding Band and DJ service. We are available for Wedding bookings in Dublin City, Dublin County and throughout Ireland. We have over 20 years of professional experience in the Wedding Entertainment Industry. The Jukebox Kings have worked hard to create and maintain an excellent reputation in the Wedding Business. We perform on a regular basis at many Top Dublin Weddings. Appearing in many of the superb Hotels and Wedding Venues throughout Ireland. Our music is styled to accommodate all tastes and age groups. 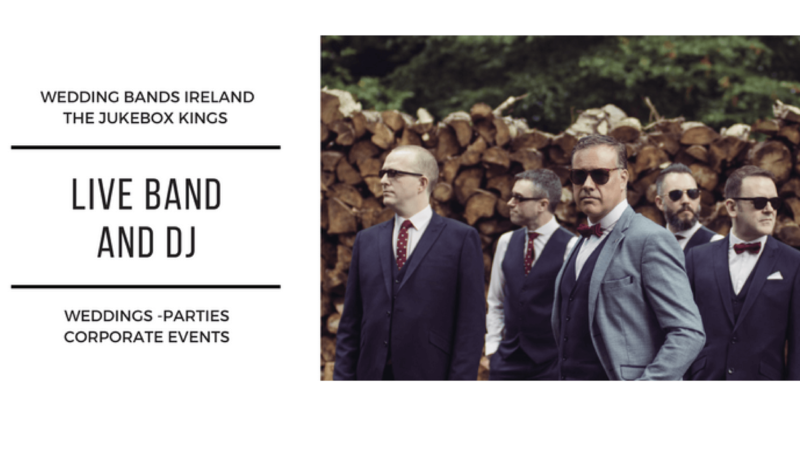 The Ability to adapt and change musical styles to suit the audience and occasion is just one of the attributes you can expect from The Jukebox Kings. Unlike some Bands, we offer one Nationwide rate for Weddings. No additional charges are included regardless of travel time or distance.